Radians Cap Mount 22 Ear Muffs are designed to fit virtually all slotted hard hats. 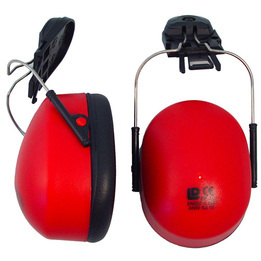 These hard hat mounted ear muffs feature foam filled, padded earcups that fit securely and comfortably over the ear. Radians Cap Mount 22 Hard Hat Model Ear Muffs (NRR 22)5NateMay 27, 2012Does a great job of muffling loud noises, is well made, & as comfortable as ear muffs can be. Shipping was very prompt, & payment was a breeze. Would order from this company again!